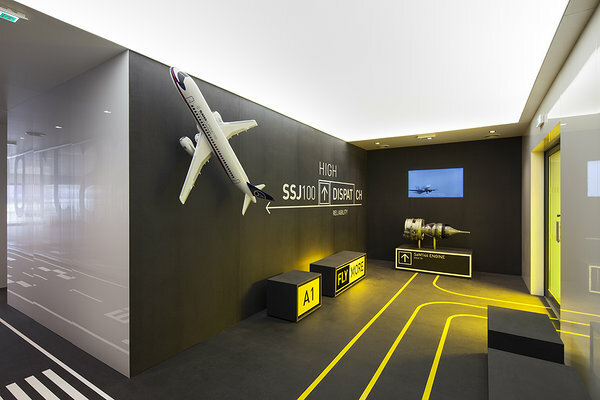 AVIOstudio designed a 400 square meter pavilion in the Farnborough International Airshow (UK), using black Valchromat for the floor, walls and customized furnitures. 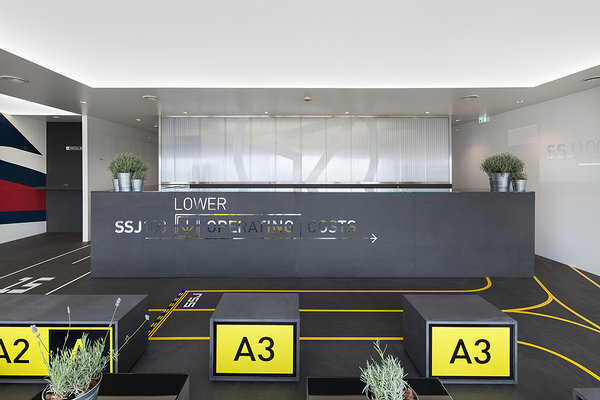 Valchromat was used without any finishes (varnish, waxes or oils) to keep its natural finish and to be more into the concept of the project: the floor in particular had to remember the asphalt of an airport. 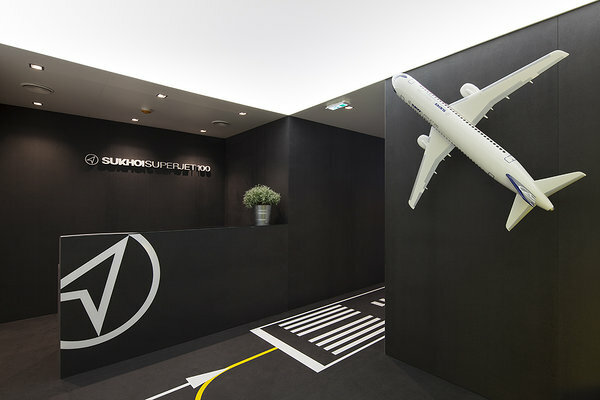 Every two years, since 2008, the Sukhoi Superjet 100 (a Russian-Italian joint venture SuperJet International - modern regional jet with 8 to 108 passenger seats) takes part to the International Airshow: in even years in Farnborough (60 km south-west from London), in odd years in Paris-Le Bourget. At the beginning of each year SuperJet International make a tender inviting some exhibition contractors and architecture offices for the realization of the chalet (pavilion). The chalet is a business temporary pavilion (by invitation only) which lasts one week, where commercial and marketing events take place. Some scopes of the chalet were: one unique Product Chalet, one brand to attract customers and visitors and a strong attractiveness for customers and visitors.